Want to have a bit of banter or a ramp and moan only loosely related to the models? Want to talk about the weather in your part of the country? 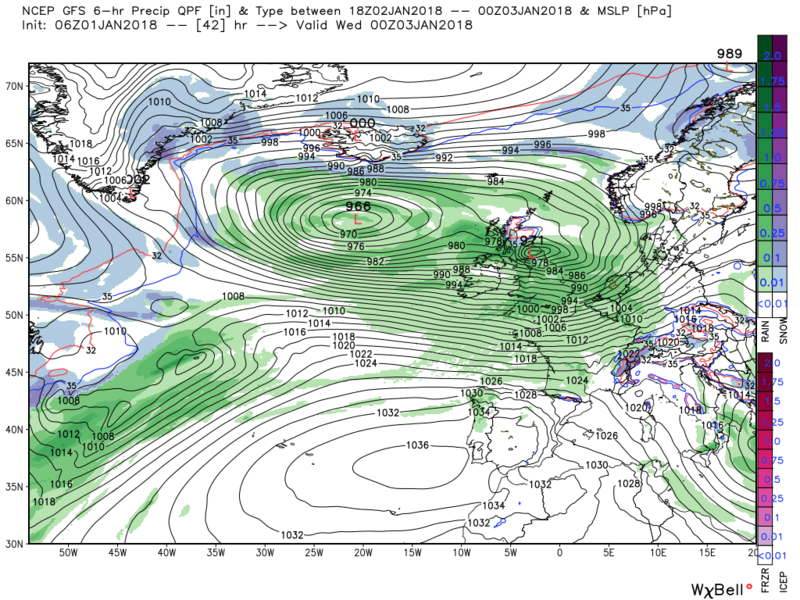 This will bring the first stormy conditions of 2018 to some parts of the U.K.
Great idea for a thread - it's often been unclear in the past which period posters are referencing when there is both long- and short-term interest. 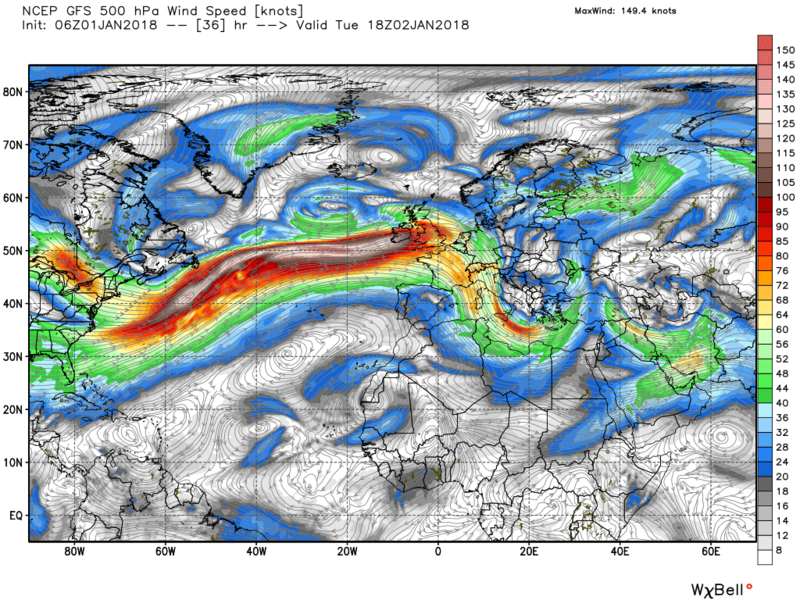 The jet is tracking just a little further north at times over the next few days on the back of the recent Azores high easing closer to our south.Often wavering across the UK marking the boundary between the polar and sub-tropical air.This meaning a very unsettled spell with wave depressions running across with wind and rain for much of country at times. 12z GFS showing the next 2 lows heading across Scotland puting areas further south in milder air for a while as the rain bands move through. The colder air still prevalent further north over much of Scotland with frequent snowfall over the highlands.Big temperature range at times with near freezing readings over parts of Scotland with double figures in the far south west. 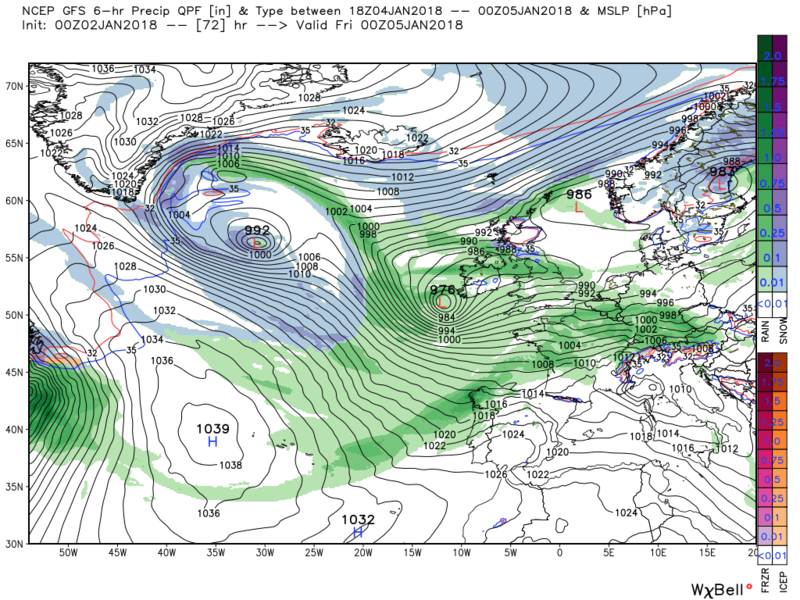 showing low pressure to the north and high pressure across the south with a westerly type of setup-often referred to as +ve NAO pattern indicating the mean pressure differences between the Azores and Iceland. I like using this link as it gives the times when the charts are issued. There are times each day when there is a 'selection' of charts for the same time but all 3 issued at differing times. It does give some indication, for even further ahead at times, of how the latest thinking is in Exeter. 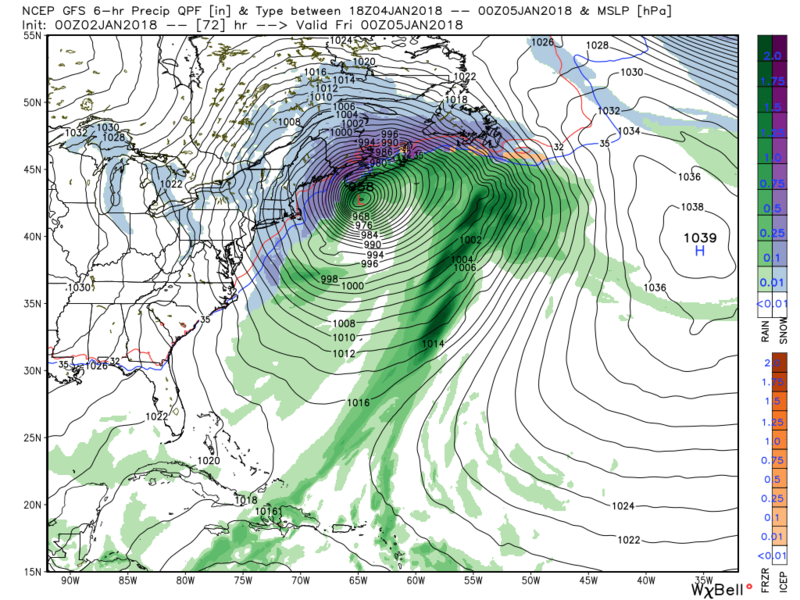 The link below gives a good idea of what weather systems are around. One can have Europe or just the UK and a standard size or large size. 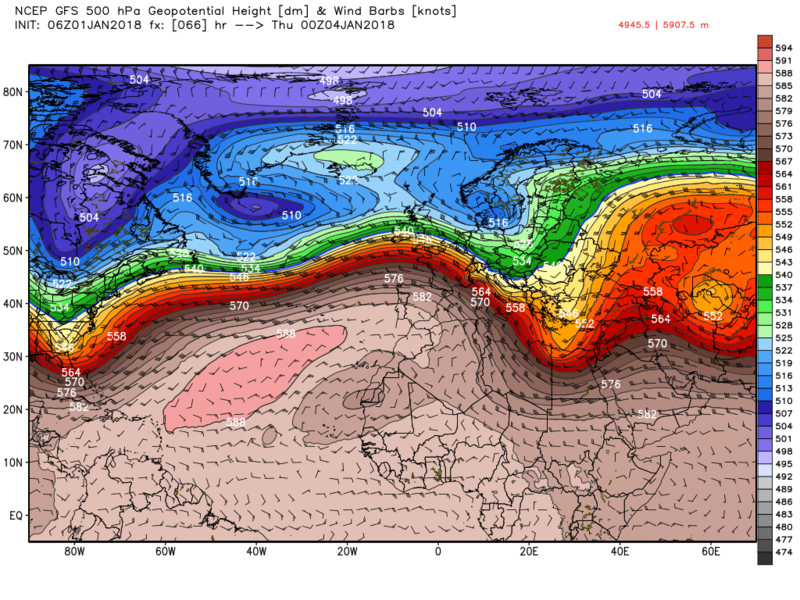 The plots are the standard weather plots used throughout the world. During deepening and tracking lows one number in red to the right of the station circle will give you how much the pressure has fallen in the past 3 hours. For instance in the link below, the observation from SW Eire shows a -74 in red, showing a pressure fall of 7.4 mb in 3 hours. So quite a decent fall that, it may simply be a front approaching or it may indicate that the 'low'is deepening. oops sorry forgot to put it in, doing so now 2250! A very windy few days (Sun to Weds) coming up as this sequence of maximum wind gusts forecasts from Arpege highlights. Hardly an area of the UK escaping from seeing a gust of 50 mph+ at some stage, although for a change the far north of Scotland might turn out to be the least windy place to be! Wednesday is looking a particularly windy day nationwide. Can you slow that down please BW? and the Met O Fax charts latest outputs. 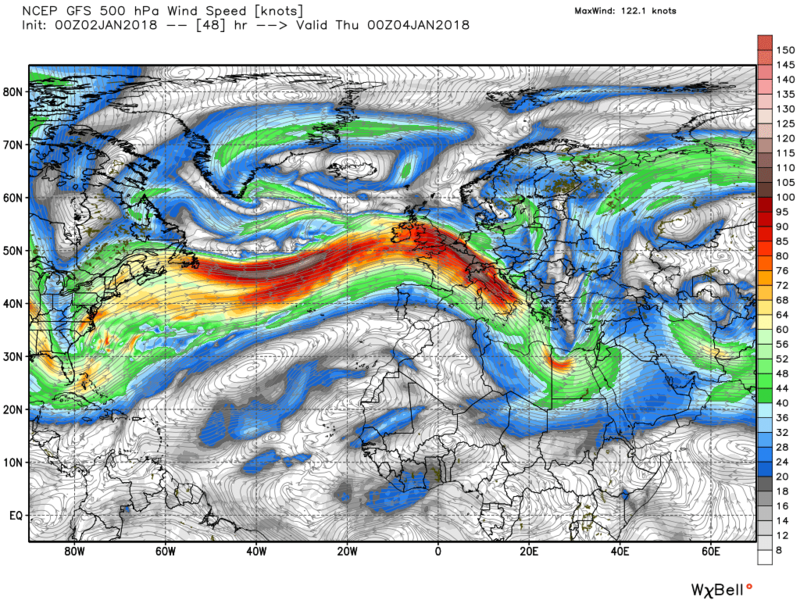 Have a look beyond 120 hours at the bottom, showing the upper air predicted pattern post 120h. Quite a marked trough with not much sign of any upper ridging to the N or NE of the UK that is the talk of the other model thread? 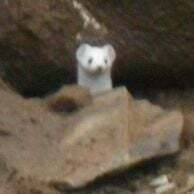 instead it suggests a small upper ridge in the Iceland area. This output is, as far as I can recall, never quoted in here, UK Met Fax charts, not the usual outputs that do get comments but their furthest outputs. Is this better John? The post above was 4 hourly intervals at 5 frames/second and, below, the same intervals but at 1 frame/second. Yes thanks very much for doing that, pretty windy for some looking at those frames. Happy New Year to readers of this model thread out to 72h. Not long to wait before the cold snap/spell comes into range. 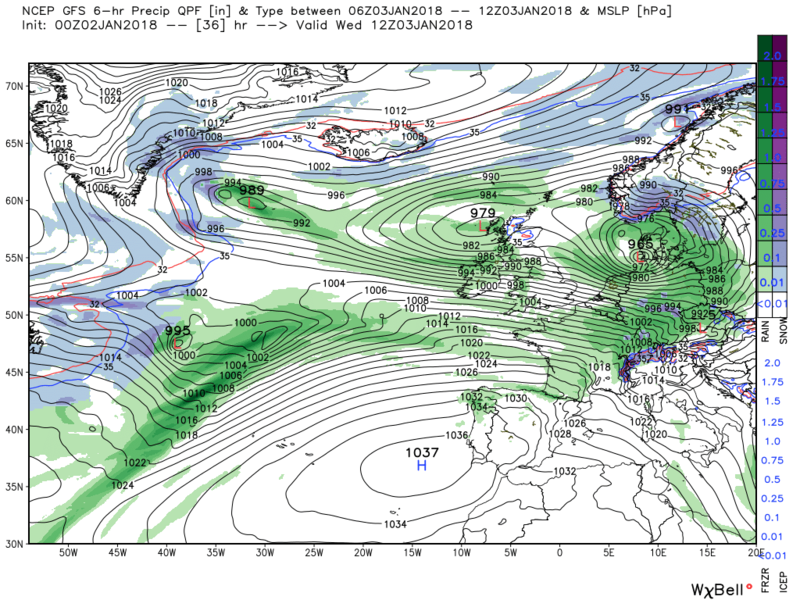 According to the 6 gfs by midnight tonight we have some very transients ridging over the UK whilst away to the west there is a wave forming on the front that has sneaked up from the eastern seaboard to be south of the main depression. The wave then tracks quickly north east deepening rapidly on a very strong low level thermal gradient delineating the boundary between the cold and warm air to cross N. Ireland and the border country tomorrow evening. 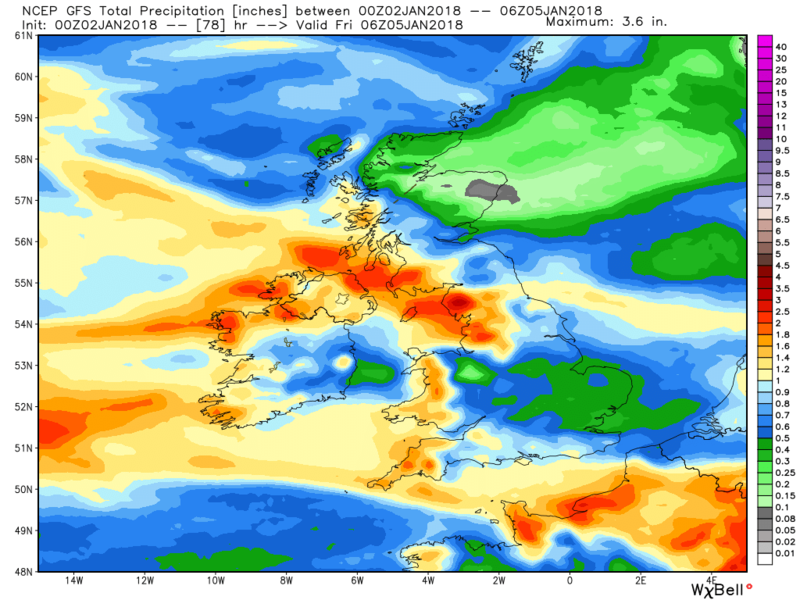 This will bring rain to many areas, particularly the further north with snow on the higher ground in Scotland. It will also get quite windy ending with the UK in a strong north westerly and frequent showers along western coasts. As the low continues to track east the UK is once more at the mercy of the two pronged attack, one from the NW and the other from the SW as illustrated by the surface chart at 00 on Thursday which is also showing another low from the south east beginning to deepen behind the cold front to the west. 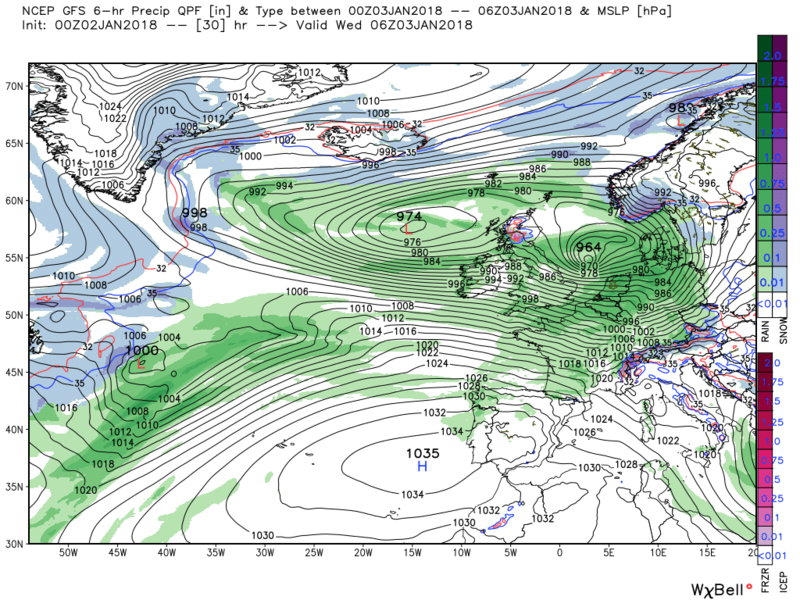 This will deepen and swing across southern England on Friday whilst at the same time the Bermuda high pressure starts to amplify in response to the developing east coast storm I think it worth noting the 500mb chart at 00 Thursday which clearly shows the airmass distribution. 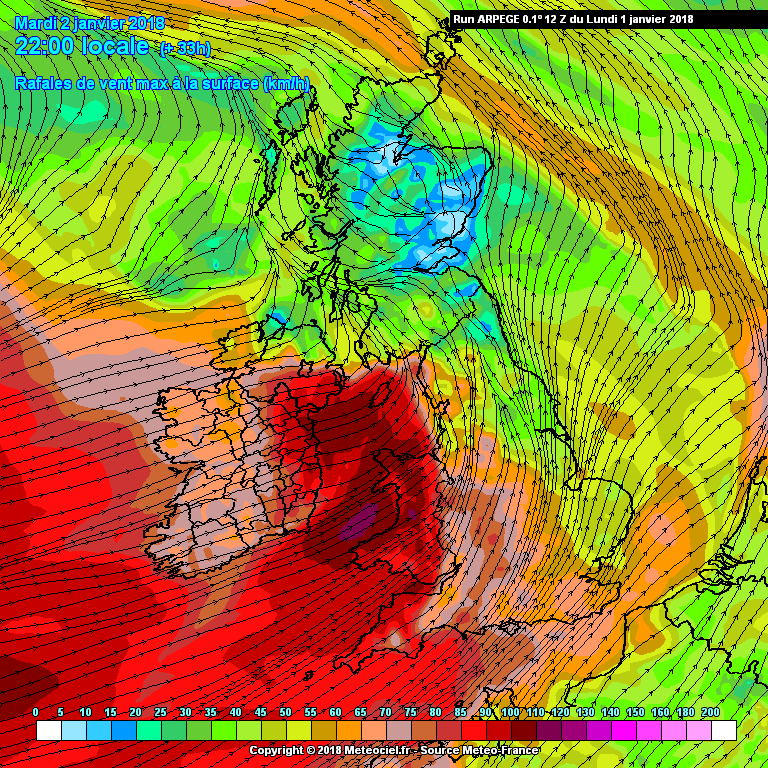 A spell of strong winds is expected later Tuesday, overnight into Wednesday morning. Combined with a period of high tides, it is likely that some western coastal communities will be affected by large waves and spray, and there is a small chance that injuries and danger to life could occur from large waves and beach material being thrown on to sea fronts, roads and coastal properties. Power cuts and disruption to other services (mobile phones for example) may occur, and there is a small chance of transport disruption or cancellation of public transport. Looking at the Fax outputs and the low is predicted to deepen by about 18 mb between the T+36 (12z Tuesday) and 00z Wednesday shown at 97 mb on the T+48 currently on view. 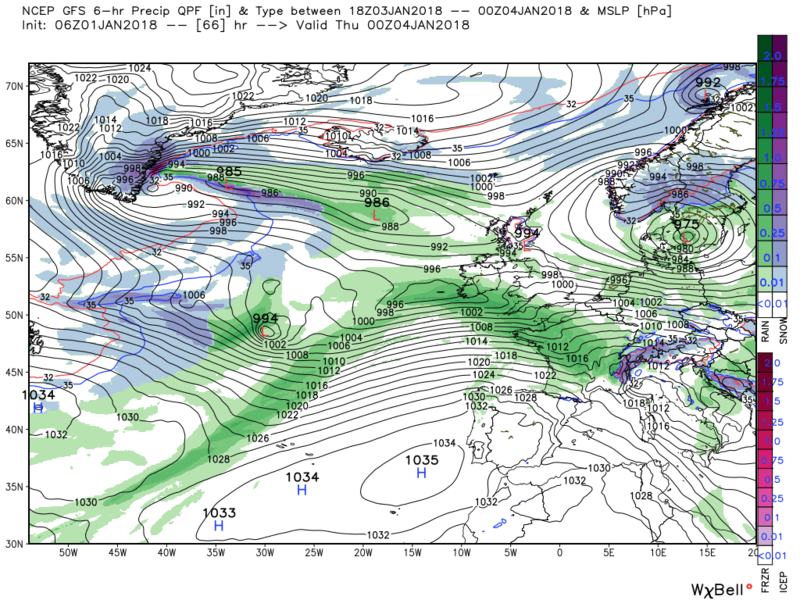 Latest GFS run shows a wet and windy few days coming,these are charts for Weds. 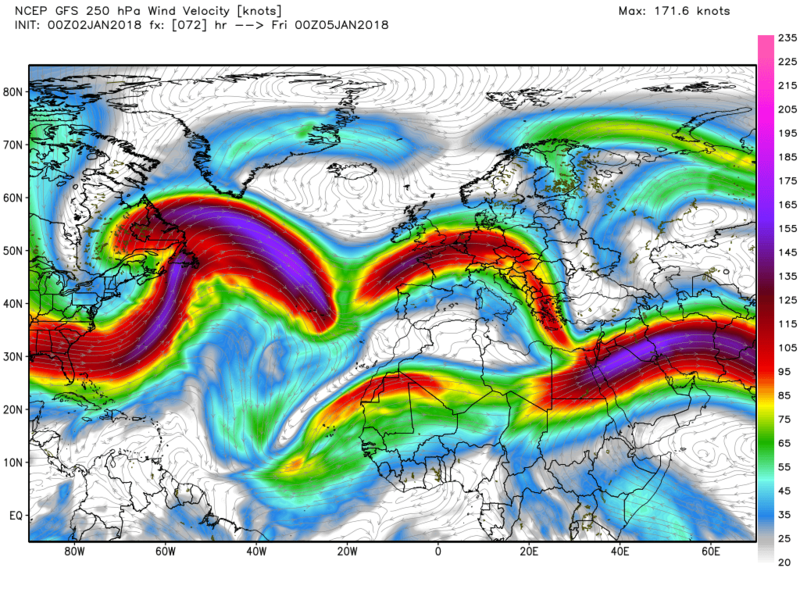 The jet at times approaching 200mph wavering across the UK separating the cold air lurking just to the north from the sub-tropical air to the south.It A breeding ground for further wave depressions running across from the Atlantic. A look at Thursday 1200hrs at the expected surface temperatures as some deeper cold starts head into N.Scotland on a northerly wind. The effect of this is to enhance the large temperature differences north to south at this time..
Edited January 1, 2018 by phil nw. Looks like tomorrow night will bring strong winds to many western and northern coasts and it will be very gusty even inland, accompanied by some prolonged rain, which could cause some travel disruption. Not sure what the requirements are for a storm to be named but I don't think this has been given one yet? No need to go into the detail of Eleanor here but just to note the position at midnight tonight. 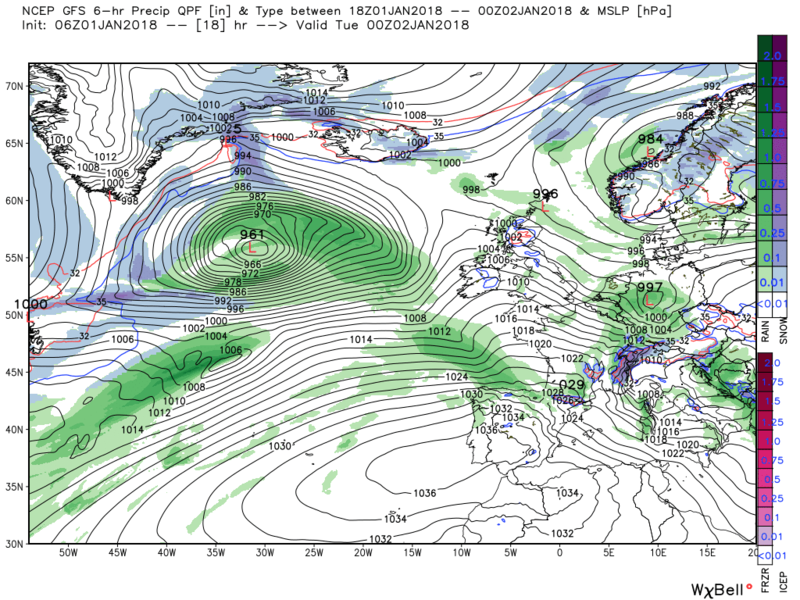 Eleanor tracks east across the North Sea tomorrow leaving the UK in a strong north westerly wind, particularly in the north, with frequent squally showers, probably of snow in Scotland. 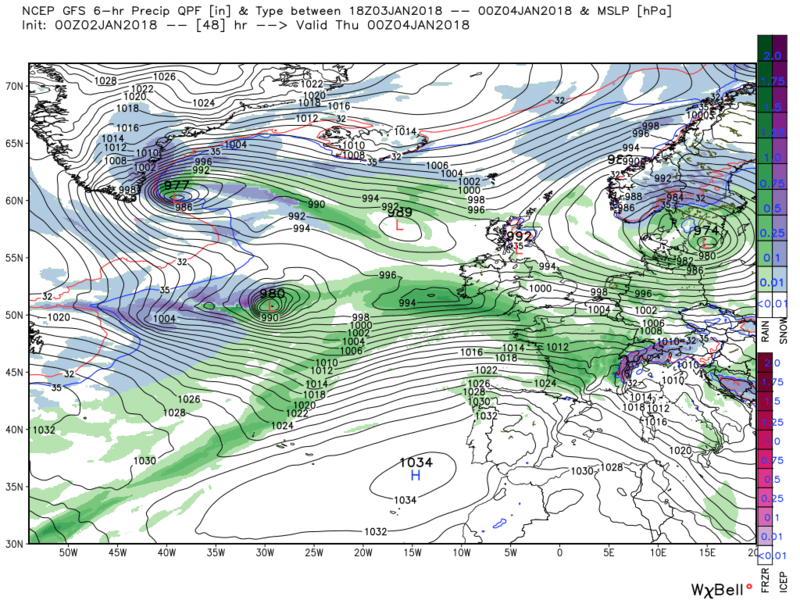 Thus by Friday 00 the low is 978mb south west Ireland with the associated front perhaps bringing some snow along the leading edge on higher ground in the north but at this stage the main interest lies to the west over North America where the east coast storm is impacting the jet as the Bermuda high pressure surges. This will have a knock on affect downstream and the evolution over the UK during the weekend and beyond. From my IMBY-ist perspective, slightly more concerned by the track and intensity of Friday's feature - not as vigorous as Eleanor it would seem but likely to bring a period of heavy rain and strong winds during daylight hours on Friday so another "event" to consider. 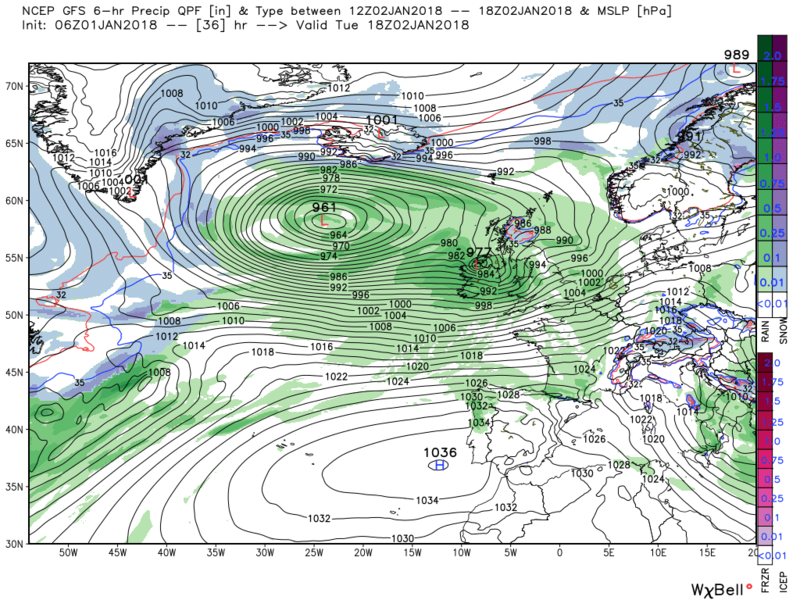 a bit below 1000 mb around 48N 28W to track just north of the Isle of Man then track just N of E clearing the east coast somewhere close to Newcastle with a central pressure around 976 mb.  This link is not perfect for correct positioning and depth of systems but gives a fair idea, and you can toggle both the size and time of chart. 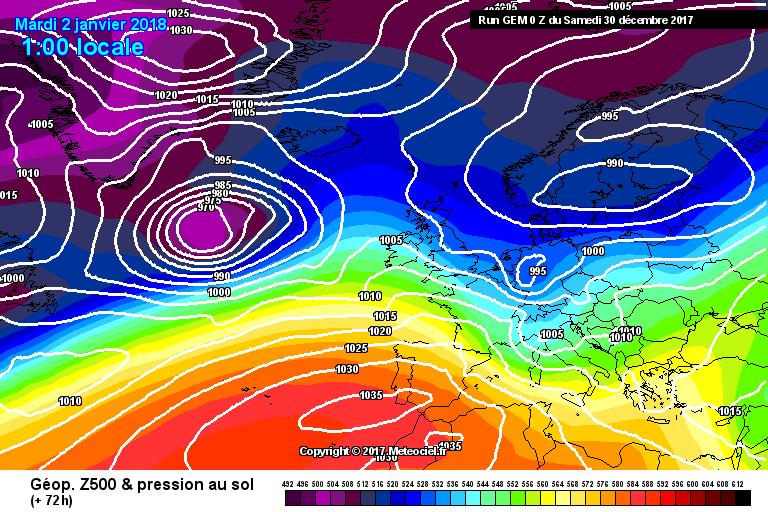 After this low has passed we can also then turn to 'what cold spell, when, if etc. The next 72h after the storm takes us currently out to T+144h, right in the midst of the possible cold set up. 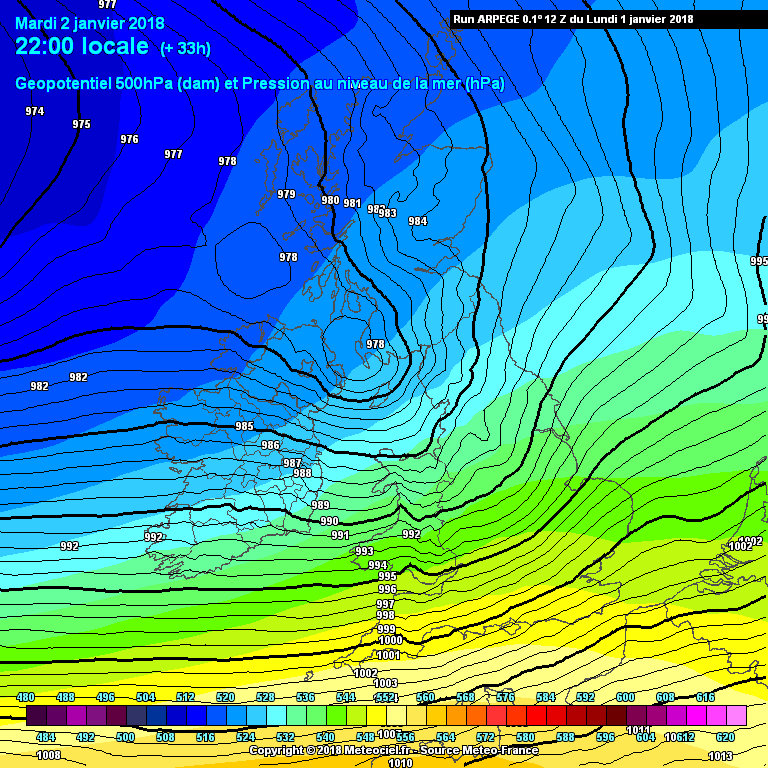 If you want to cheat a bit and look that far ahead, take a look at the first link above for UK Met ideas on what may happen! Yes another on its way, again at T+84 (bit outside this thread?) 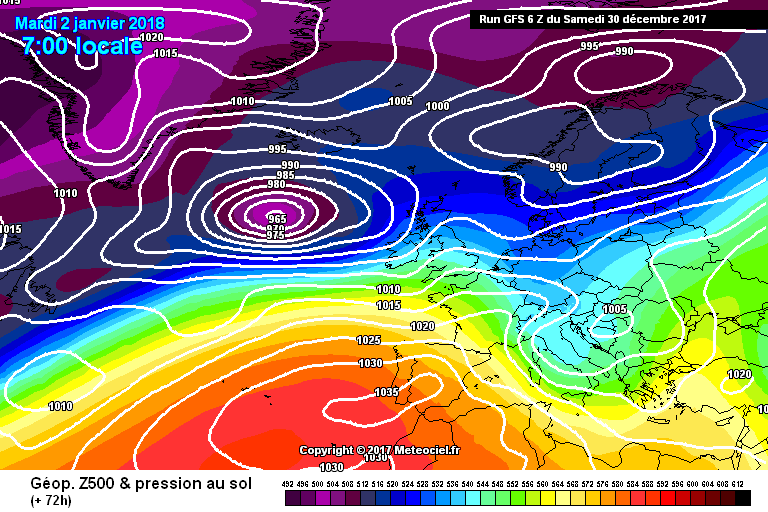 UK Met show their position and I would suspect following its track from its position on the previous Fax chart, (we are assuming of course that depth and positions are correct-a big ask really), would take it out of the southern half of East Anglia, much as the chart you show. Just how strong any winds will be is obviously too far out to give values, windy will cover it for now. Really interesting weather being predicted and maybe even a cold spell after all this?